Exciting prospect Bricks and Mortar (3c Giant’s Causeway x Beyond the Waves, by Ocean Crest) kept his unbeaten record intact when taking out the $200,000 Grade II National Museum of Racing Hall of Fame Stakes at Saratoga on Friday. The Chad Brown trained colt stepped it up another notch when forging clear to win the 1 and 1/16th mile contest by three quarters of a length and has now won four from four earning $256,800 in prizemoney. “I got a good trip,” said winning rider Joel Rosario. “We were all running together for the first three quarters trying to get position...I was down inside and had to stay where I was, but I just took my time to take him out. He's a nice horse and tries very hard. “The last race he had, the final quarter-mile was very fast. He tries hard every time, so I knew he had the turn-of-foot to get home, I just waited until I could get him out. He's very honest and as long as he's comfortable, he'll take it from there. You can put him wherever you want." 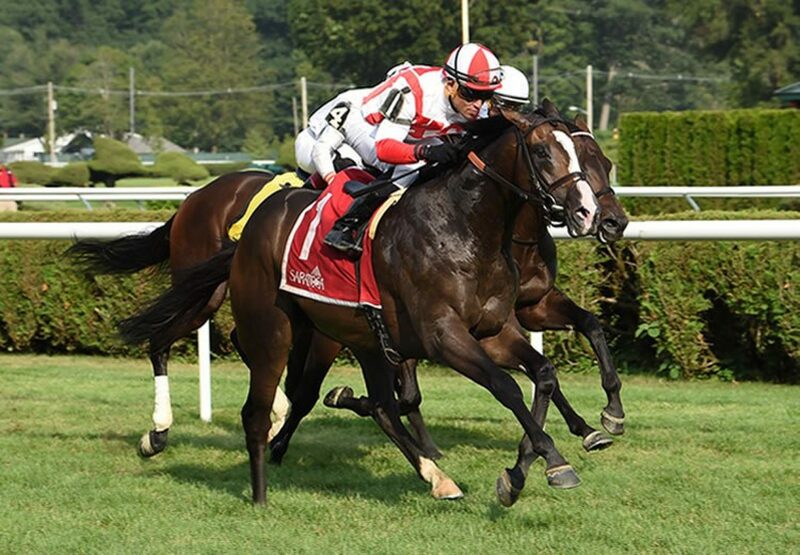 According to Trakus data, Bricks and Mortar got his final quarter in a sizzling :22.07. A $200,000 Keeneland September purchase, Bricks and Mortar runs for Klaravich Stables, Inc. & William Lawrence and is a half-brother to Grade III winner Emerald Beech and stakes-winner Beyond Smart. He is one of seven winners from French stakes-winner Beyond the Waves.